Yugito Nii (Nii Yugito) was a kunoichi from Kumogakure, and the jinchuriki of the Two-Tailed Monster Cat. 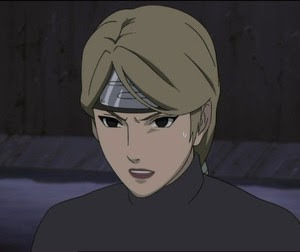 Yugito gained confidence in herself through hard work, making her a proud, wise and courageous kunoichi. Also, it is said that she was firm and thoughtful of her teammates. Her faith finally end on Akatsuki hands, She fought with Hidan and Kakuzu. she was taken down by Hidan ritual jutsu, and brought to the Akatsuki lair. The Two-Tails was extracted from her body, resulting in her death. She was able to turn into a smaller version of the Two-Tails, giving her an upgrade in her abilities, such as strength and the ability to breathe fire. Yugito was made the Two-Tails' jinchuriki at the age of two and, at the end of a detestable training that was imposed on her, she was able to control her transformation into her tailed beast at will.